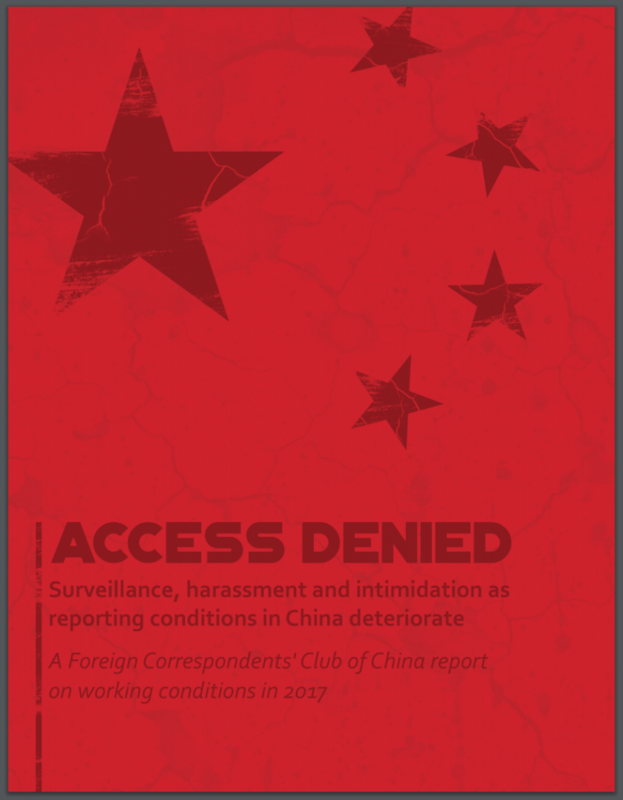 In a report released this week, the Foreign Correspondents’ Club of China (FCCC) released the results of its annual survey on conditions facing foreign journalists working in the country. The report, “Access Denied,” showed that 40 percent of the 117 respondents — from among a membership pool of 218 foreign correspondents — reported a deterioration of conditions during the previous year. Correspondents reported continuing, and in some cases worsening, harassment and intimidation by local authorities and state security, and 15 percent of respondents said they had faced difficulties in renewing their journalism visas. Then, you can tell the FCCC that foreign journalists present here today do not agree with its report’s conclusion, so it has in no way reflected the genuine opinion of almost 600 foreign journalists stationed in China. We will continue with our efforts to assist and facilitate foreign journalists’ report and coverage in China, as we always do. If you encounter any problem and difficulty in your work, feel free to contact us anytime. Some asked on social media outside China why no foreign correspondents present had raised their hands. I think it’s important to point out that this was a formal press conference, where correspondents should be expected to raise their hands for questions, not for the purposes of pop opinion polls conducted by government representatives. In that sense, Hua’s ploy was irregular and improper. In such a situation, it would be perfectly reasonable for foreign correspondents present to interpret Hua’s words not as an invitation for dialogue and mediation, but as a dismissal of the seriousness of the issues addressed in the FCCC report, and even as an act of further intimidation. It goes without saying that the Chinese Communist Party has long had a tense and often combative relationship with the foreign press, and particularly with media from Western countries, which it habitually accuses of institutionalized bias. Chinese scholars and government officials have written reams about the predominance of “negative” news coverage about China in newspapers like the New York Times — and such research, usually leading to foregone confirmations of bias, are de rigueur in communication studies circles in China. In light of the FCCC report, and in the midst of ongoing frictions over fairness in reporting, it is crucial to remember that the Chinese Communist Party in fact rejects, in its official position on the media, the entire basis on which we might talk about things like fact, fairness, transparency or objectivity. For the Party, there is in fact no debate about what purpose the media service, or how. As Xi Jinping said back in 2016, the media must all be “surnamed Party,” which is to say that they must love, protect and serve the interests of the Party. In the articulation of policy, there is the Party’s journalism and nothing else. Nothing, in any case, that can be admitted or accepted. 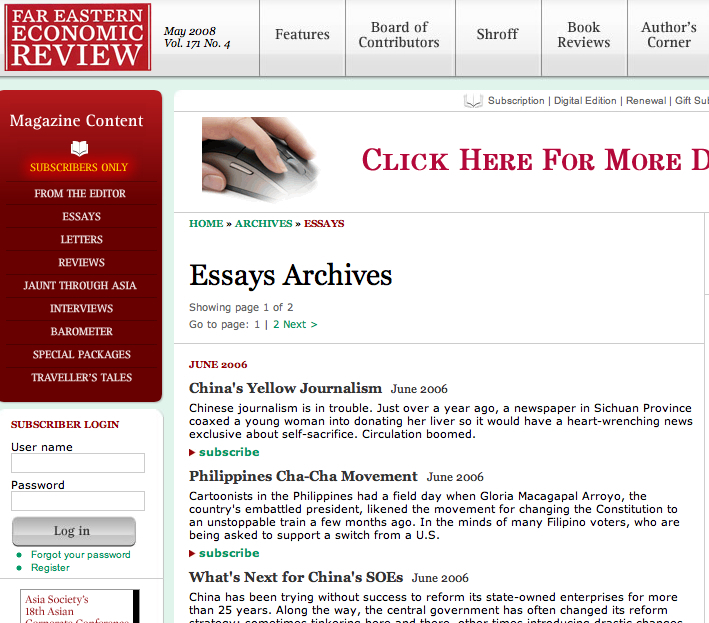 To understand once again — to remind ourselves — where the Party stands on this issue, we can turn to a very recent piece in the Party’s official Qiushi journal. In speaking the Party’s views, I believe the article will speak for itself. Concepts of journalism are the soul of news and public opinion work. To do a proper job of the Party’s news and public opinion work, we must take the Marxist View of Journalism (马克思主义新闻观) as our “fixed point” (定盘星), clearly recognizing and consciously resisting Western concepts of journalism, leading the masses of news and public opinion workers in becoming transmitters promoting the Party’s policies, recorders of the conditions of the times, promoters of social progress, and defenders of fairness and justice. News and public opinion are important [forms of] ideology, and the business of journalism belongs to the superstructure [of governance]. News activities in any society are necessarily guided and limited by the political ideas that dominate in that society and by the political system, and there is no such thing as absolute freedom. Any news report is subject to guidance, and what is reported, what is not reported, how something is reported, all of these expose positions, viewpoints and attitudes. Through reports on domestic and international events, journalism directly, fully and comprehensively reflects the complexities of changing social life. Objective facts do not have value traits, but journalism, in reporting the facts, must entail an assessment of those facts, and reflect differences in values. News reports all reveal the values and views of the reporter, whether through the gathering of information and its selection, or through commentary, headlines, photographs, layouts and even choice of fonts and font sizes, accompanying content and other means — so that as the audience receives the facts, they receive at the same time the ideas and viewpoints of the reporter. Therefore, journalism is not just a reflection of an objective society, but rather is a conscious reflection of social life through a process of selection, extraction and processing of objective facts under the guidance of a definite ideological and value framework. Like other social sciences, such as politics, law, religion, the arts and philosophy, is an important form of social ideology (社会意识形态). Journalism, through its unique character of “using the facts to speak” (用事实说话), is always a kind of “invisible opinion” (无形的意见), having an imperceptible influence on its audience that cannot be supplanted by other forms of ideology. Before the annihilation of class (在阶级消灭之前), the ideologies articulated on a social and economic basis are all vested with class nature, and journalism is no different. In clear contrast to this, the Western capitalist concept of journalism denies the ideological nature of news and public opinion. But is this really true? Quite to the contrary, Western countries are actually very clear about the ideological nature of news and public opinion, and they are old hands at carrying out ideological infiltration. It’s not difficult to understand, then, why the most important hand for anti-China forces in westernizing and dividing China is ideological infiltration, confusing people’s ideas and undermining the common foundation on which the Party and the people unite in their struggle. This is the fiercest hand, and the most deceptive. From the dramatic changes in the Soviet Union to the instigated and schemed “color revolutions,” the manufacture of democratic calamities, thence to the constant smearing, defaming and demonizing of China, sparing no pains in attacking the leadership system of the Chinese Communist Party and our country’s socialist system, the Western media have always been the daring vanguard of ideological infiltration. Can this not cause us alarm? The undermining of a country, of a political regime, always begins in the ideological realm. Political unrest and regime change may happen overnight, but the transformation of ideas is a long process. If ideological defenses are broken, other defenses are difficult to hold. Are the Western Media Truly Free and Neutral? Western capitalism does its utmost to conceal the class nature, Party nature and orientation of journalism. It does its utmost to praise “objective reporting,” “political neutrality” and other such journalism values. It does its utmost to propagate the idea that the media are a “fourth estate,” the “uncrowned kings.” Well then, are the Western media truly as free and neutral as they proclaim themselves to be? The Western media are controlled by capital, and their freedom is false. The Western news system is a so-called independent media system. Independent media refer to media owned by individuals, and here we can see the most vital aspect of the Western capitalist news system. Operating media requires spending money, and only with money can you operate media. Moreover, operating large media is something only big capitalists and big financial groups can do. America’s Wall Street Journal and Fox Broadcasting Group, Britain’s Times newspaper and other media belong to Murdoch’s News Corporation; America’s Sulzberger family controls the New York Times Company’s New York Times newspaper and the International Herald Tribune, while the Graham family has long held the Washington Post, and the Los Angeles Times was long held by the Chandler family; Britain’s Thompson family holds Reuters, one of the world’s four largest news agencies, while Britain’s Financial Times, the Economist magazine and Pearson Television Group, holder of Europe’s largest television distribution network, are all under the flag of the Pearson family. Britain’s Guardian newspaper has always been held by the Scott family; American’s NBC network was purchased by General Electric, the latter being controlled by Morgan Stanley, etc. Not only does it require money to operate media, but so-called “free reporting” is also inseparable from the support of money. Without money, news media can’t possible send journalists all over the world, and they cannot gather news and information welcomed by the market, so they can only purchase the news products provided by these big players, becoming their megaphones and amplifiers. Clearly, the true holders of the independent media are not the ordinary people who comprise the 99% of Western society, but the major families, big enterprises and huge financial groups, the most powerful [forces] in Western society, which have been called the 1%. Capitalists, by investing in order to operate media, directly control media ownership, through the operation of news agencies they control media content, and through advertising they control the economic lifeline of the media. Media are ultimately the mouthpieces of capitalists and large financial groups, the spokespersons of capital. Lenin said it well: “In societies where the power of money is the foundation,” “it is impossible to have actual or true ‘freedom. '” Independent media can be free of the government, but cannot possibly be independent of capital; they can “freely” question politicians, criticize political parties, criticize the government, but they will not fundamentally question, criticize or oppose the capitalist bosses or the capitalist system. Who a media belongs to may change, but ten thousand changes don’t alter the fundamental fact that capital is absolutely in control. Therefore, Western media are only tools by which various interest groups contest for power and interest, and what they reflect are the inclinations and positions of the interest groups they belong to — they cannot possibly be neutral. Independent media may “mildly criticize in order to help out” (小骂大帮忙), but as soon as it involves a topic touching on the basis of the capitalist system, reports and commentaries will tread lightly and turn the conversation to other issues. This is why in recent years the global financial crisis created by the avarice and excess of the big shots of Wall Street was never exposed or warned of in America, where we are told that “oversight is everywhere,” and spread its contagion across the world. This is why when the “Occupy Wall Street” movement directed blame on the deep-seated corruption of the capitalist system, the American mainstream media still held that this “had no news value” and turned a blind eye and a deaf ear, scarcely dealing with it at all. The “Occupy Wall Street” movement was a movement of the 99% against the 1%. The 1% the Occupy movement opposed are the very same monopoly capitalist enterprises that control the so-called independent media, and the media are their mouthpieces and tools — so how could they possibly do deep and sustained reporting [on Occupy]? Quite the opposite situation happens if street protests or even violent terrorist actions happen in other places, especially those places with ideologies that differ from that of the West. Then the Western media will describe these as movements of “opposition” for “democracy,” “freedom” and “human rights” — sparing no space and wantonly adding color. In their reporting on the March 14 riots in Lhasa [in 2008], some Western media threw objectivity and truth to the back of their minds and entirely stood with the “government of Tibet in exile,” their reports full of lies and prejudice. In the same way, for the July 5 Xinjiang incident, which was clearly an orchestrated smash and burn operation marked by violence, some Western media confused black and white, twisting the truth and calling it a “peaceful demonstration” and “peaceful resistance,” even when they hadn’t reported on the ground or didn’t have sufficient evidence in hand. This is their so-called objectivity and neutrality. The facts show that that the “neutrality” praised by the Western concept of journalism, and its trumpeting of an abstract and absolute “freedom of speech,” is only a way for capital to deceive the masses in order to achieve their commercial and political goals. It is a sham. The Party’s news and public opinion work is work of core importance. General Secretary Xi Jinping has emphasized many times: “Properly doing news and public opinion work concerns our banner and our road, concerns the implementation of the Party’s theories, line and policies, concerns the smooth advancement of the various projects of the Party and the government, concerns the cohesion and united spirit of the people through the Party and the country, concerns the fate of the Party and the country.” It is from this height that we must come to recognize the Party’s news and public opinion work, fully adhering to the Marxist View of Journalism, and conscientiously resisting Western concepts of journalism. We must firmly adhere to the principle of Party nature. The principle of Party nature is the fundamental principle of the Party’s news and public opinion work. Ideas are imperceptible, but the media that transmit and carry on ideas and positions are concrete. The media operated by the Party and the government are propaganda positions of the Party and government. They must be surnamed Party, must be grasped within the hands of the Party, and must become the mouthpieces of the Party and the people. [Media] must enhance their consciousness of falling in line (看齐意识), conscientiously following the Party’s central leadership, and conscientiously following the theories, lines and policies of the Party.